As part of a design thinking process, design principles play an important role in reimagining learning. They make explicit the intended values, qualities, and functionality in the learning experience a school creates for students. If we want more equitable school designs, it stands to reason, we’ll have to purposefully “design for equity.” CityBridge Education and the Center for Collaborative Education make equity an explicit focus of the next gen learning designs they support in their regions. They built criteria for evaluating those designs and use the criteria when awarding school teams the funds to implement their models. Next gen learning models, sometimes called Breakthrough Schools, are intended to provide high quality learning that equitably prepares all students and helps them fulfill their greatest potential. 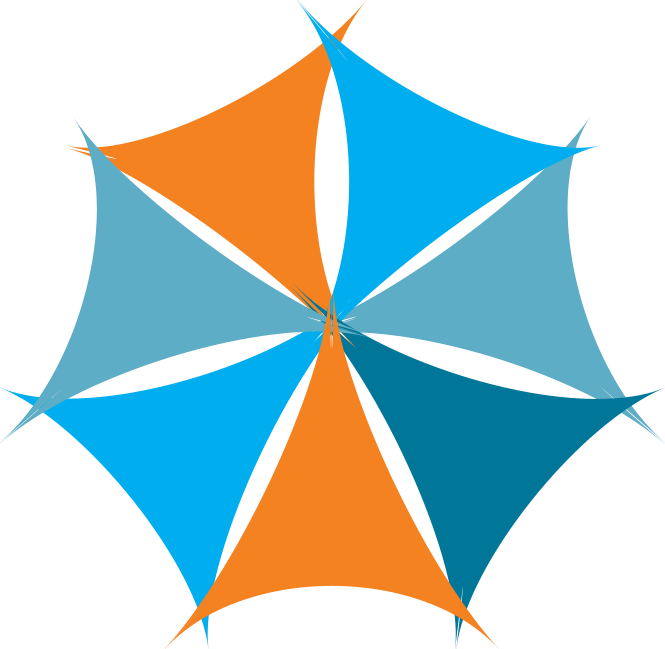 Equity is implicit in the work of 100+ schools in NGLC’s national network: a pathway of preparation in challenging college coursework, relevant career experience, and a degree of personalization—not historically made available to each student—is assumed. Making equity part of explicit criteria keeps a powerful focus on “why” we do the work, and for whom. It also creates opportunity for more equitable designs because every design choice is made through the lens of this principle. 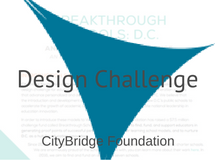 CityBridge and CCE are using equity focused design principles to build a portfolio of equitable schools and to boldly disrupt the U.S. K-12 system—a historical, institutional, and systemic form of oppression. They understand that structural and functional design impacts behavior as much as belief systems, so changing the design changes the experience. Design principles are flexible—inviting creative combinations of strategies to generate proof points. While schools may share design principles, no two schools need to be the same. Proof points show us how students can be served where they weren’t being served before; and often, what kinds of professional practice and school culture can be created in support of new learning models. Because proof points double as learning laboratories, they enrich the capacity of the educators adopting the design principles to meet learner needs, one student, school, and community at a time. Amidst the diversity, design principles tie the proof points together, uniting educators around the common goal of equity and hold school designs accountable to the core values established by the community. 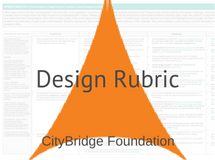 Jump-start a conversation about designing for equity in your school using the design principles from CityBridge and CCE. First, we encourage you to establish a “design team.” If you’re new to design thinking, take the free online course from the Stanford University Institute of Design. Then as a team consider how design principles will allow the flexibility required to meet the needs and celebrate the strengths of the diversity within your community. Individual: How does my identity impact how I understand my student’s experiences? Institutional: What are the important customs and practices at play in the student’s experience? Structural: What are the ways customs and practices work together to include or exclude certain students? Is there a mechanism for getting student feedback and input about the culture of the school? Do students feel a sense of belonging? Are they able to shape school policies, operations, or governance? Are underserved students accessing challenging coursework such as AP, dual enrollment and career credentials at the same rates as traditionally served students? Are educators teaming to share information about individual students and their families in ways that customize systems of support and ensure students feel connected to adults, peers and their own learning? Is the school staff reflective of the diversity in the student population being served? 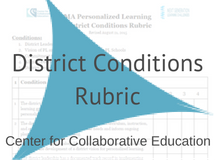 These initial assessments can lead to deeper discussions about aspects of school ripe for a small scale equity-based design challenge. A series of small challenges over time, may inform a set of design principles that proves useful for meeting your local needs. Be reflective about your design team make-up and work. The most effective teams are intentionally diverse and include people with different expertise, life experiences, economic orientation, and cultural backgrounds. If your design team is homogenous and/or only talks to a select group of visible or accessible students (not dropouts, homeless students, kids with disciplinary records, and/or their parents), you’ll miss the power of the opportunity to solve for equity. The makeup or enrollment of learners is different in every community and school, and for many geographic locations, changes year to year. 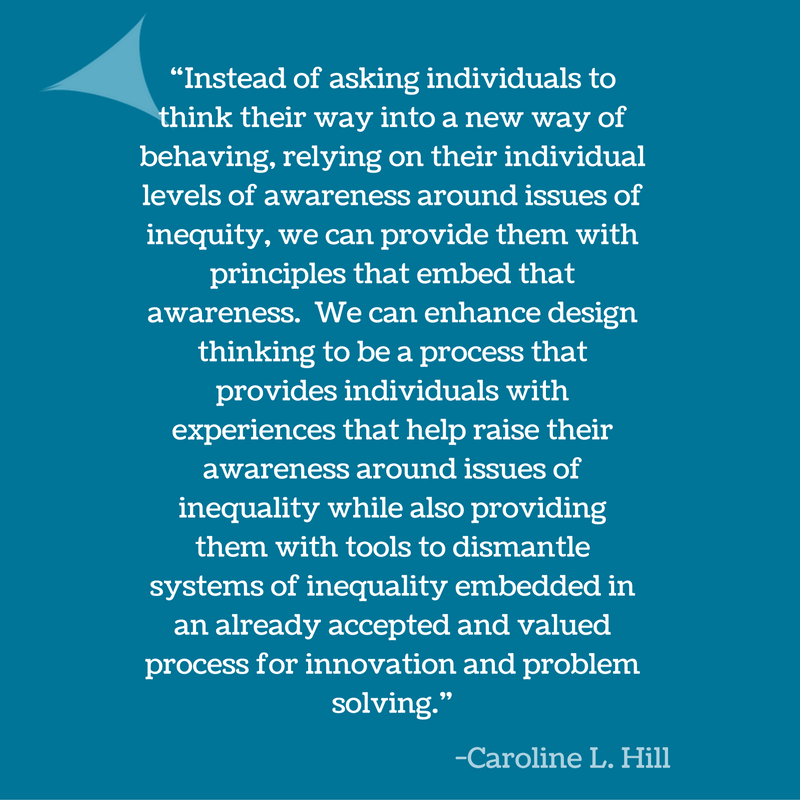 How might you create principles that acknowledge and incentivize this kind of change to ensure equity is sustainable? 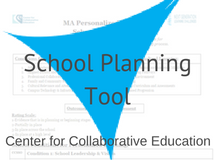 Combine these tools with text-based discussions and related professional learning opportunities to support the needed shifts in adult mindsets and to build a shared learning agenda that can gain momentum and enrich your entire school community. Inclusive Negligence—Helping Educators Address Racial Inequality at UWL, from the University of Wisconsin La Crosse Institute for Social Justice. This student-driven project was created as a tool for professional development to help faculty, staff, and administrators create a campus environment in which students of color feel safe, valued, and included. While made by college students, the issues apply in all educational settings and offers an important student voice and perspective on equity.